Beautiful card! I love the softness of the purple! Thanks for joining our challenge this week with Kraftin Kimmie Stamps. Doni - You are so right!! Your card is adorable!! 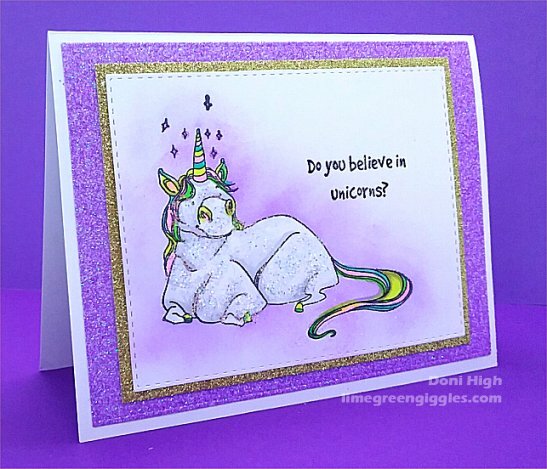 Love the rainbow touches on your unicorn, Doni! Thank you for joining us at the Simon Says Stamp Wednesday challenge!